During Vattenfall International Trainee Program each trainee does at least 16 weeks of assignments. 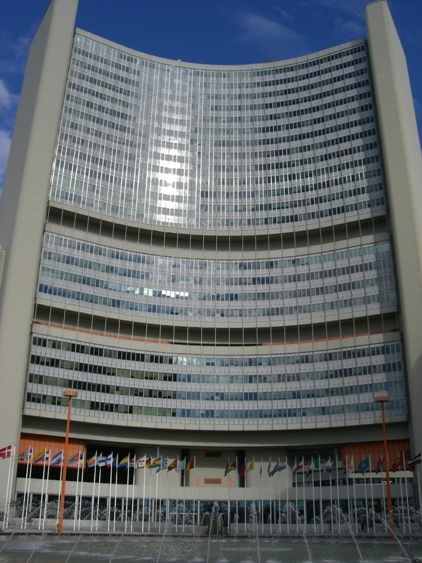 This time I did a short but very interesting assignment at IAEA in Vienna. IAEA stands for the International atomic energy agency and seeks to promote safe, secure and peaceful nuclear technologies. This includes much more than nuclear power! IAEA works with for example radiation protection within medical treatment and mining operation, many different industrial applications, marine environment and food and water safety. The staffs at IAEA have a great knowledge and it was very interesting to talk to them about their work and experiences. I also got the opportunity to attend a conference about Fukushima which was very rewarding to listen to. 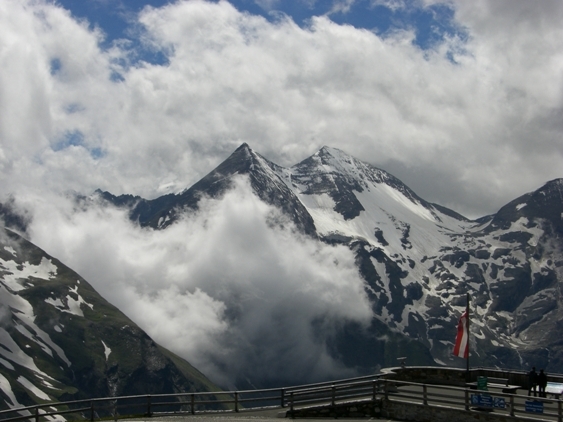 In the end of the week my boyfriend came to Vienna and we finished the week with a nice road trip through Austria. The future drives electric – the question is when. We are however taking further steps towards the electrification of vehicles. Last week I participated in the E-Mobility day in Gothenburg as we are getting closer to the launch of the new “Vattenfall car”. I learned a lot about the joint venture with Volvo and the benefits of this close cooperation, and we were also able to test drive the new V60 PHEV! 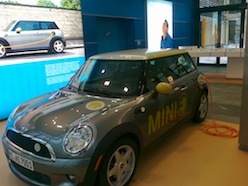 I have previous working experience from the German E-mobility program in Berlin where Vattenfall and BMW jointly were running a project called Mini E, which used fifty electric BMW Mini Coopers, hence the name of the proj­ect. 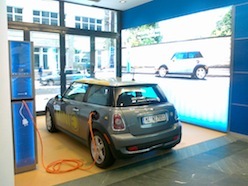 Although the technical development is going well, the big challenge remains – the commercialisation of the cars and its charging infrastructure. It’s important to increas­e public acceptance for electric vehicles and to find the right market incentives, above sustainable, it needs to be simple, fun and flexible to a reasonably price. However, you don’t need a drastic change in order to live in a more sustainable manner. Yesterday I was participating at DI Gasell, which is an event formed by the Swedish Newspaper DI, aiming to support entrepreneurial companies. Vattenfall is one of the sponsors and was presenting the One Tonne Life project. The aim of the project is to demonstrate how to reduce your CO2 footprint, from 7 tonne/person/year to 1 tonne/person/ year – and the solution is very much about having the right preconditions and attitude. During six month a normal Swedish family has lived in a climate-smart house featuring solar cells on the roof, driving an electric car and trying to live in a more sustainable way – and after six month they succeeded achieving the one tonne target! Tomorrow I’m heading towards Amsterdam for a visit of a SOLAR car! I’ll keep you posted! 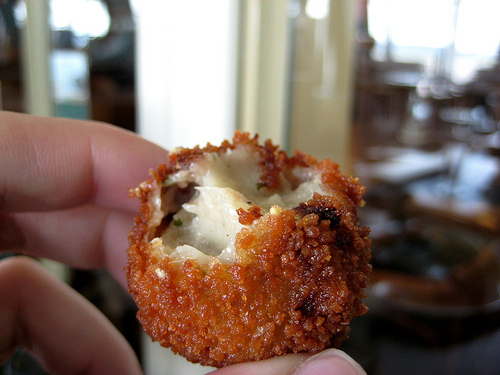 Culture, Amsterdam and some Bitteballen! The time is flying and I haven’t written a blog post for quite some time now. I am now at the end of my first two week at my assignment in Amsterdam. I am going to be here for two months working for a department called Project Governance and Improvements and that is pretty much what it is, how to governance project and also work with continues improvements. This is a new department and it is going to be the support for all Vattenfalls big projects like building a wind farm or an R&D project. My task is to look at parts of our project model and optimise part of the process. On our last seminar week we talked a lot about culture awareness, we had a lot of interesting discussions about how we experience our own culture and from that sees others. How is to come to Sweden and work? Think of it, have you had colleagues coming from other countries or maybe an exchange student came to your class when you studied? How did you greet them welcome? How do you think he or she experienced it? This is a very interesting question to look in to and I am trying to think of how I react and behave when I am here in Amsterdam. My first impression of the Dutch people is that they are very friendly and honestly curios to get to know me and my culture. While walking out of the office yesterday I got yet another confirmation of the openness here. I meet some of the national trainess that I only meet ones when they where in Stockholm, they where going for a beer and invited me to join. I hade a great night and meet many new people and also made some contacts that can be really useful for my project here. We hade quite a few drinks and no dinner (eating is sheeting the say here) only the tradional Dutch snack Bitteballen, it is mixed meat that are fried and you dip it in muster, really good actually. So I didn’t get the relaxing evening with a lot of sleep that I hade planed, but I had a really great night instead so much better! About two weeks ago I was at a seminar week in Copenhagen together with the other trainees. The first day we talked about communication and did a intressting exercise about communication in big and hierarchical companies. We talked about what is hard with communication in big companies and what is important to do to be able to succeed. The two upcoming days we talked about cultural differences. We talked among other things about similarities and differences in the many cultures within Vattenfall and how it is important to be aware and be able to use our differences in a positive and constructive way. I especially liked the exercise were all of us presented the culture of the country that we grow up in. 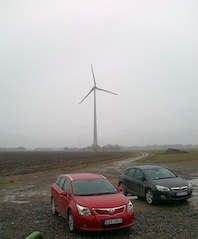 Another thing I really appreciated was the study visit to Lillgrund wind power park. 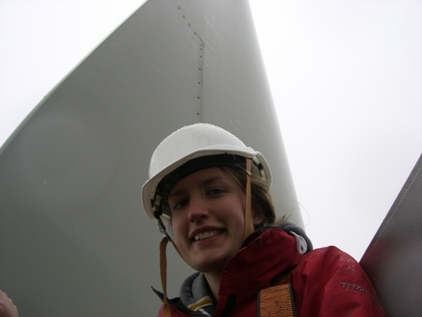 I learned a lot more about wind power and it was quite cool to be in a boat surrounded by almost 50 wind power plants. Stockholm-Amsterdam-Brussels-Stockholm-Umeå-Örnsköldsvik-Kittelfjäll-Stockholm-Ringhals-Trollhättan-Stockholm-Lindvallen-Stockholm-Umeå-Stockholm, with a maximum of 3 nights in one place. Highs: energy politics in Brussels with visits to the parliament and the commission, climbing a 110m wind plant, passing through to the reactive side at a nuclear plant, vaca in the Swedish mountains, working at a sunny ski-event in Lindvallen. Lows: repacking, shortage of sleep, my car breaking down on the way to the car dealership (two words you don’t want to hear from your mechanic: “motor salad”), speeding ticket (the expensive kind). Now I’m back at the office in Stockholm trying to play catch up with my regular duties; not the most pleasant feeling I must conclude. As mentioned, a short post this time. Now when I’m back in Sthlm my blog frequency will hopefully increase. If not, then I’m officially a terrible blogger. I have during the last weeks been travelling around in Europe learning about Vattenfalls business in Amsterdam, Brussels and Sweden. My trainee colleagues and I started up in Amsterdam attending a seminar about personal development and strategic leadership. The first step is naturally to understand yourself, your values and behaviour in order to be able to understand and lead others. In preparation we had been asked to complete a questionnaire about how we would react in various situations. A similar form was distributed to our work colleagues, family members and close friends – the answers resulted in a personal report, describing our characteristics and capabilities. I found the material interesting and useful. Naturally, it’s important to be aware of how other people see you and whether it’s in line with your own opinion and expectations. We had also time to bike and enjoy a charming Amsterdam! I have previous working experiences in Amsterdam, which is one of my favourite cities. It’s artistic, beautiful and fun and the Dutch are easy to get along with. 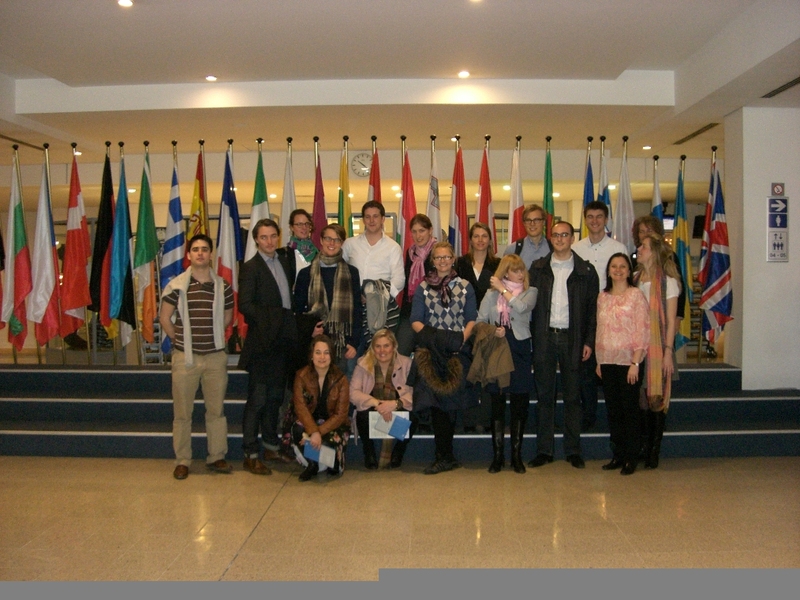 After gaining new insights about the Benelux operations, the tour continued to Brussels and a seminar about “Energy is politics”. The political agenda is more or less determining the market conditions for the energy business. We visited the European Parliament, Commission and discussed energy politics with our colleagues at Vattenfall European Affairs. I am personally interested in the development of Smart Grids, which is key to the future efficient and low-carbon electricity market and a necessary precondition to achieve the European energy targets. I got an introduction to a number of European initiatives driving research, development and demonstration programs in order to accelerate and coordinate the deployment of Smart Grids in Europe. Very interesting and I gained valuable insights. The final day of the journey was all about renewable energy and took place on the west cost of Sweden. We learned much about the technology behind ocean wave energy and visited a factory of one of the pioneers in this industry. Wave power has potential, but is highly dependent on an EU directive. Wind power on the other hand is already a huge industry. Sweden has around 1700 windmills, and we had the opportunity to climb one of them! Please let me know if you have any questions about the trainee program or the energy business. Nuclear power, wave power, wind power and nuclear waste management are all very interesting subjects and something that all of us Swedish trainees would like to explore further. Therefore we went on a small study tour within Sweden. The trip was not organized by the trainee program but something we organized by ourselves. The first day we went to Ringhals nuclear power plant. The first stop was at the information center where we were allowed to hold a uranium pellet. Secondly we visited the reactor hall at Ringhals 1, which is a reactor of a model called boiling water reactor. Early in the morning of the second day we travelled by car to Lysekil to visit Seabased, which is company that are researching and developing wave power. At Seabased we were given a lot of information and saw some of the plants that later would be placed into the sea. I did not know that much about wave power before so it was interesting to learn about the basics. 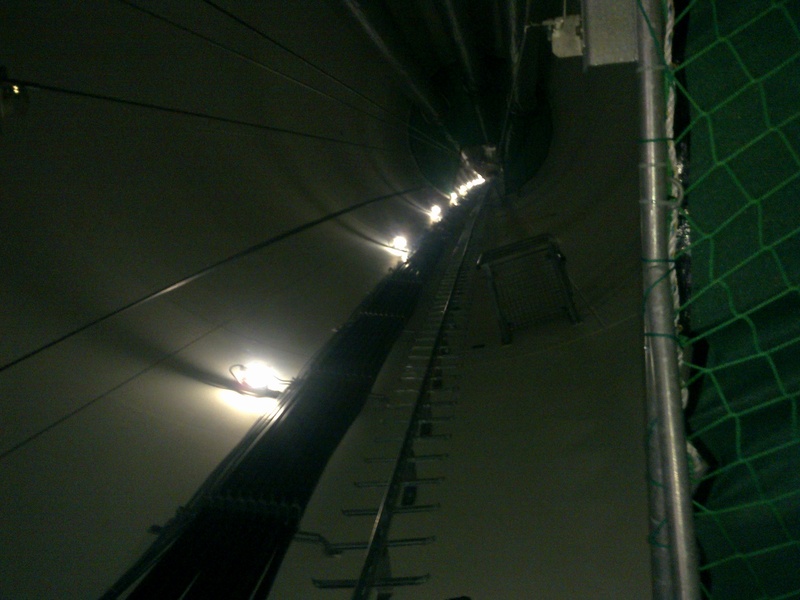 After a quick lunch we continued our journey to Brålanda where we visited a wind power station. We climbed the whole way up to the top which was an amazing experience. 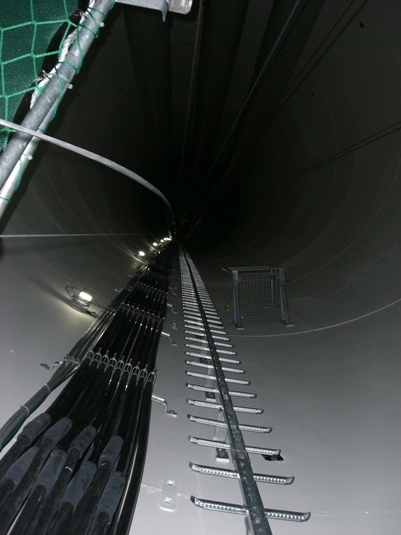 The wind power station was 107 meters high, so it was a bit of an exercise to climb the whole way up. From the top we had a remarkable view and it was very exciting to see what the mill looked like from the inside and get to know more about how it functions. 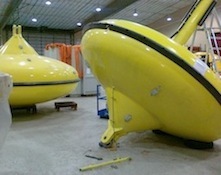 On our third day we visited SKB: s facilities in Oskarshamn. SKB is an abbreviation for Svensk Kärnbränslehantering AB (Swedish Nuclear Fuel and Waste Management Company). There we visited Canister laboratory and Äspö hard rock laboratory, two research labs which focus on nuclear fuel management and Clab, the Swedish interim storage facility for spent nuclear fuel. I did my master thesis within radioactive waste management and I have earlier during the trainee program done an assignment at SFR (Swedish: Slutförvaret för kortlivat radioaktivt avfall, English: Final repository for short-lived radioactive waste). Radioactive waste management is a subject that I am very interesting in so it was great to have the opportunity to visit the facilities in Oskarshamn. I would like to thank everyone who have helped and guided us on our study tour. It was three extraordinary days! Last week all the trainees met up in Amsterdam for the fourth seminar. The three first days we were working with personal development. We talked about values, thoughts and behavior. The part that I found the most interesting was when we discussed the DISC-model, which is a model that describes different personalities. The week before, we had all done a computer based test about our behaviors. We also sent out the same test to family, friends and work mates to see if they have the same view of us as we do. It was fun to see how well the model described us and how you could recognize yourself in different behaviors. 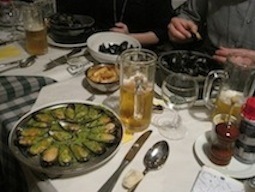 Even if the days were very intense, we did have some time for socializing. 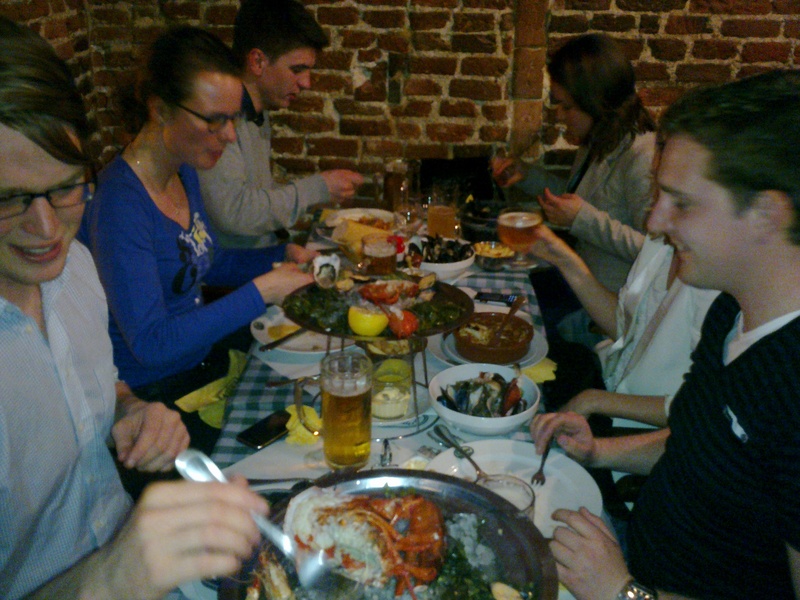 Vattenfall has a national trainee program in Amsterdam and we met up these trainees for a nice dinner. 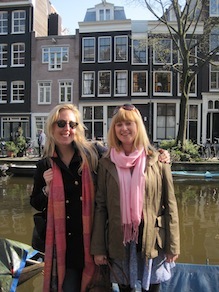 We also had time for a boat tour on the cozy canals of Amsterdam. On Thursday we went to visit the Nuon office, which is the Vattenfall office in Amsterdam. There we had a presentation about the history of Nuon and an about wonders. I also held a presentation about nuclear power and radiation which was very appreciated by the other trainees. I enjoy giving lectures and explaining how things function so it was fun to do it. 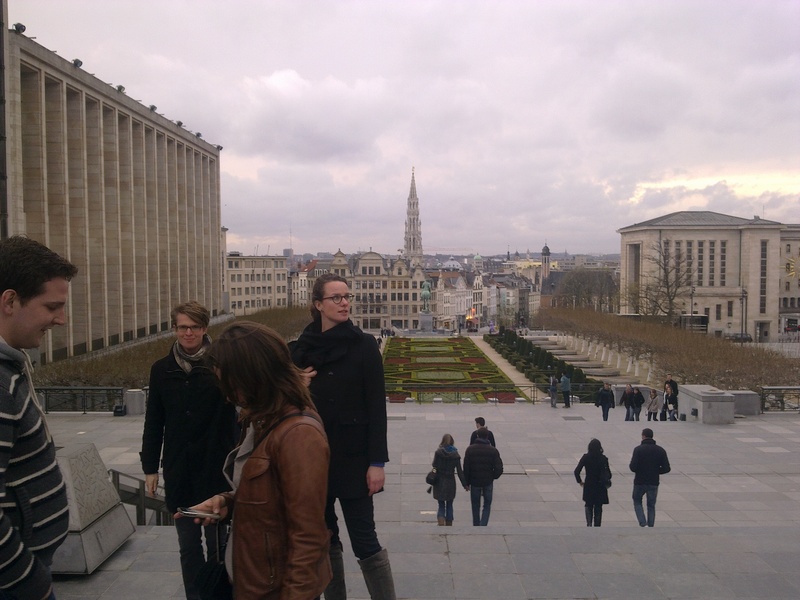 Thursday afternoon we took the train to Brussels in order to visit the Vattenfall office and the European parliament on Friday. To sum everything up I must say that it was an intense but interesting week and I am looking forward to meet everybody again during the next seminar in Copenhagen in May. This week I did something very interesting. I did something that we at Ringhals call ”skiftlagspraktik” which means a shorter training period in the control room at one of the nuclear reactors. It was very nice to see how it works in reality and see many of the different objects and processes that I read about in my daily work. I was at Ringhals unit 3 which is a reactor of a model called pressurized water reactor. In the control room you control and regulate the processes in the plant. I tried many different duties for example daily controls, both in the control room and in the actual plant, and periodic tests of different systems. 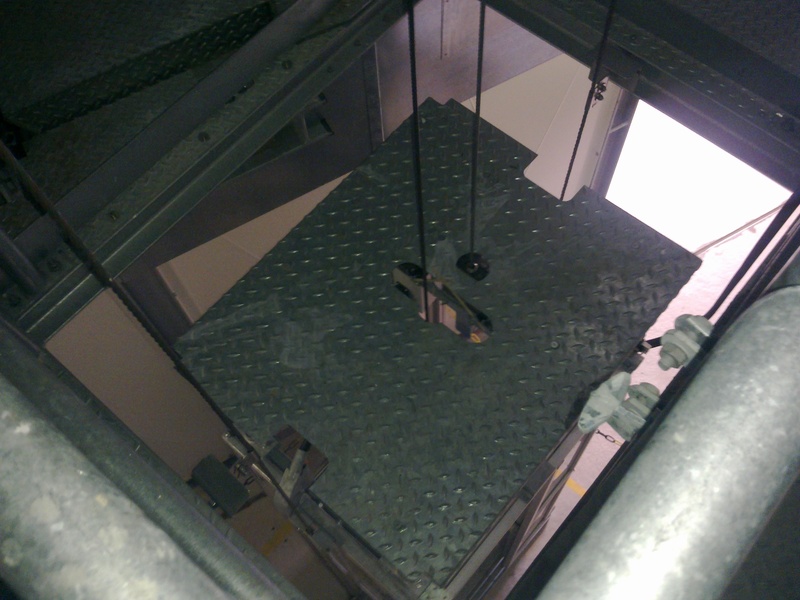 This is done to make sure that everything works as planned and that different safety systems are functionable if they are needed. All controls and tests worked out as planned and were under control. I worked with a nice and friendly team and their running of the power plant felt very safe. One of the most exciting experiences was that I, under supervision and instructions from an experienced reactor operator, was allowed to participate in a routinely regulation of the boric acid concentration. Boric acid absorbs the neutrons that are used in the fission process. By regulating the concentration you can control the number of fissions of uranium that occur. If you decrease the boric acid concentration you will receive more fissions of uranium. This means that more heat is released and that the reactor temperature is increased. By doing this I have actually run and regulated a nuclear reactor. It might sound a little bit geeky but how many people have actually been able to do that? Another week has passed, and it’s been a hectic one. I spent the whole week at the Stockholm office, working on getting my Product & Pricing projects off the ground. I have a lot to take care of since I’ll be out of the Stockholm office for about 3 weeks starting next week. However, I don’t mind one bit, just love working with pricing and product development. Monday morning: seriously early flight to Amsterdam where I’ll meet up with my trainee colleagues for four days of seminars, training and study visits to different parts of the Vattenfall value chain. 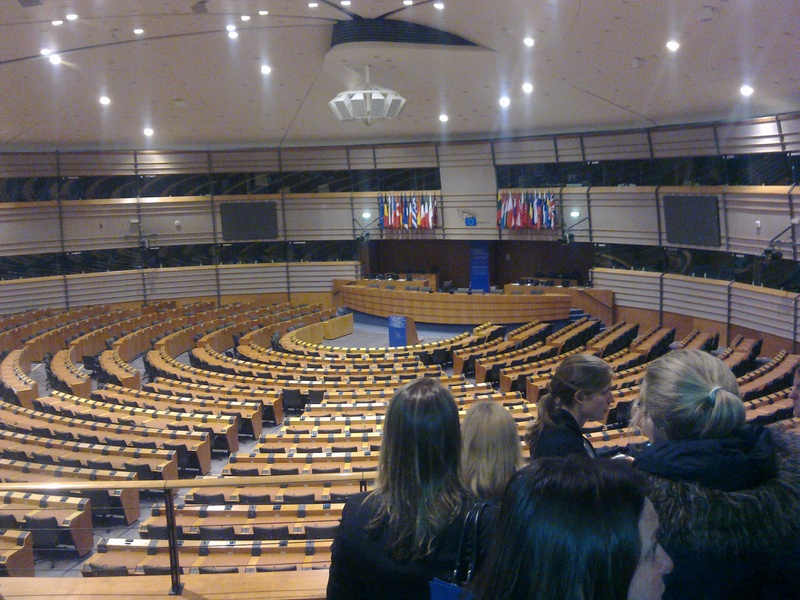 Friday we’re all going to Brussels to stopover at our Belgian office and visit the European Parliament. Hopping on the 6.45 flight back to Stockholm, re-pack my bags and get a few hours of sleep. Saturday an even earlier wake-up call awaits and I’ll, hesitantly, get in my car to drive up to Umeå in the north of Sweden (where I’m originally from). 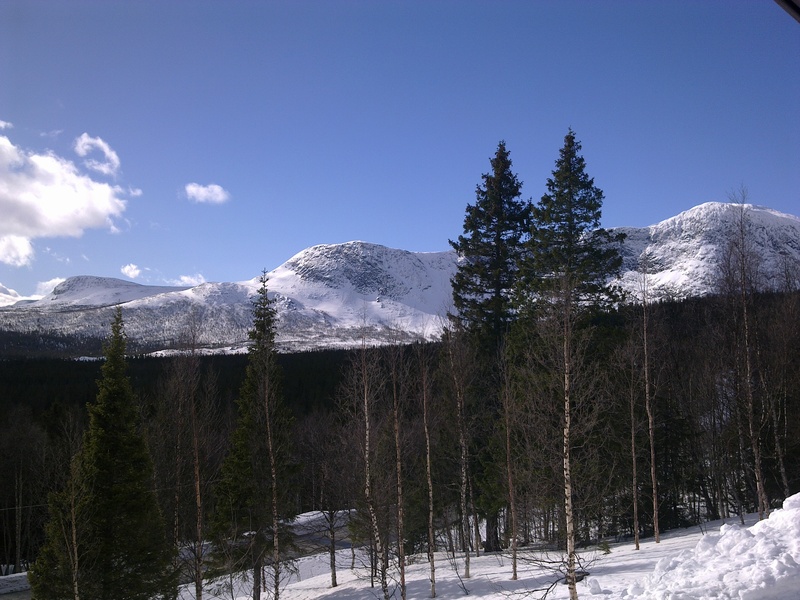 I’ll work at the Umeå office on Monday and then, in the evening, I’ll take my car and drive up to Kittelfjäll for a few well deserved days of vacation. Well deserved according to me at least. And yes, I’ll be the judge of that. 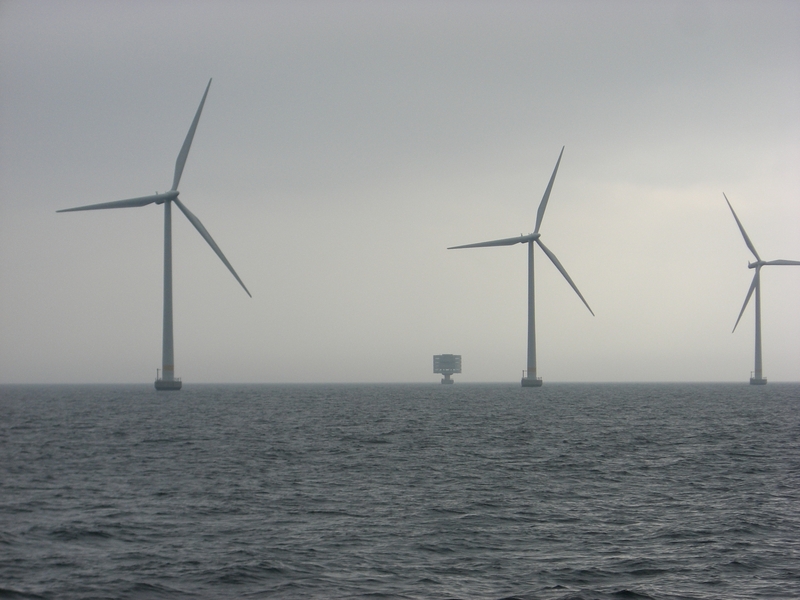 Next Monday I’ll meet up with my Swedish trainee colleagues in the Gothenburg (Kittelfjäll-Stockholm-Gothenburg) area to visit Ringhals nuclear plant, a wind farm and a wave power plant. Tuesday evening it’s back to Stockholm to re-pack my bags again and get ready for an early drive to Sälen Wednesday morning. In Sälen I’ll work with a Vattenfall sponsored event, Ski Funtastic, for a few days. If you happened to be in Sälen at the time, please stop by our tent to say hello! Puh. That’s a lot of travelling come to think of it. Pretty sure the Stockholm office will feel like a blessing the week after that. Playtime is over, time to get some work done so I don’t have to spend the next three weeks on my cell. Ah, just remembered, subsequent to writing this, that a promised a description of the recruitment process. Next time, promise. See it as a cliff-hanger. I’ll get back to you guys soon, take care till then!